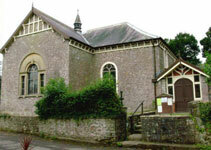 We are a welcoming church which serves the village and the Chew Valley. We extend a warm welcome to all who would like to visit our church and seek to provide worship and activities relevant to the lives of all around us. Used for many church events, including informal Sunday services, other meetings, pancake lunches and Easter breakfast and a monthly village Lunch Club. Other hall users include Beavers, bridge and pilates groups, and Slimming World sessions. It is also used for children’s parties and Church away/study days and weekend camps for uniformed organisations and other community groups.